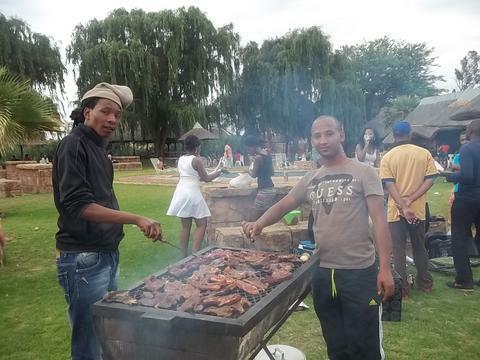 IY Ebony Park Closing With a Bang!! 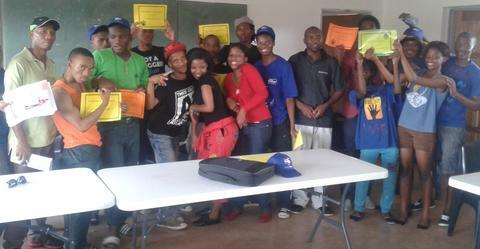 On the 27th of November, IkamvaYouth Ebony park branch, together with ABI, hosted a Learner Appreciation Day acknowledging Ikamvanites for the outstanding commitment they have shown in 2013. 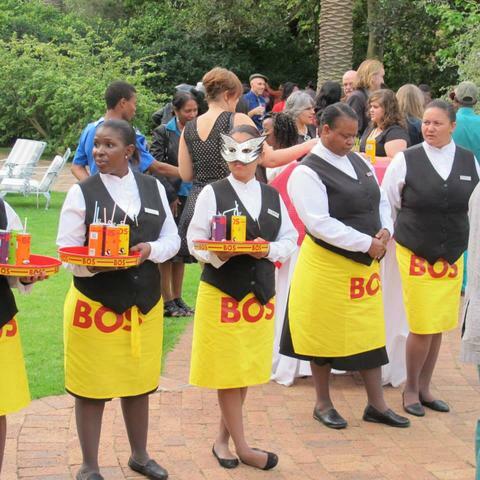 ABI provided drinks for the event to spice up the year-end celebrations. The day started well with IkamvaYouth staff thanking learners for being part of the IkamvaYouth Family, for showing commitment, and this has resulted in great improvements in their studies. Ikamvanites came in numbers to collectively celebrate the day. 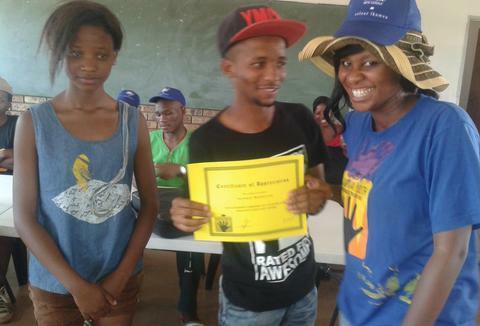 The IkamvaYouth team took an opportunity issuing out certificates to learners based on best platinum attendance, most improved learner and most committed learner. A total number of 15 grade 11 learners received certificates of appreciation with some getting more than one for their improvement and commitment to their studies and towards IkamvaYouth. Excited after grabbing four certificates, grade 11 learner Phillip Mollo had this to say; “I cannot believe I got so many certificates! I did not anticipate getting more than one but with the hard work I put in my school work and commitment to IkamvaYouth, then there’s no reason for me to think that I don’t deserve so many. 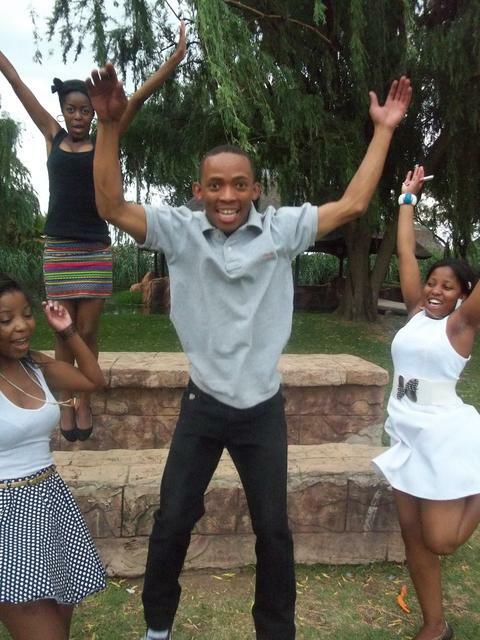 I always treasure the opportunity that IkamvaYouth gives to learners”. 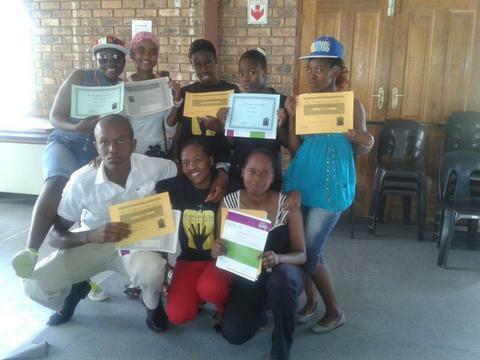 More learners like Phillip appreciated IkamvaYouth saying they value what the organisation does for them. The day went on with learners taking photos, playing games, exchanging gifts and enjoying each other’s company also encouraging each other to cherish the opportunity they have with IkamvaYouth and to invite thier brothers and sisters to join IkamvaYouth. 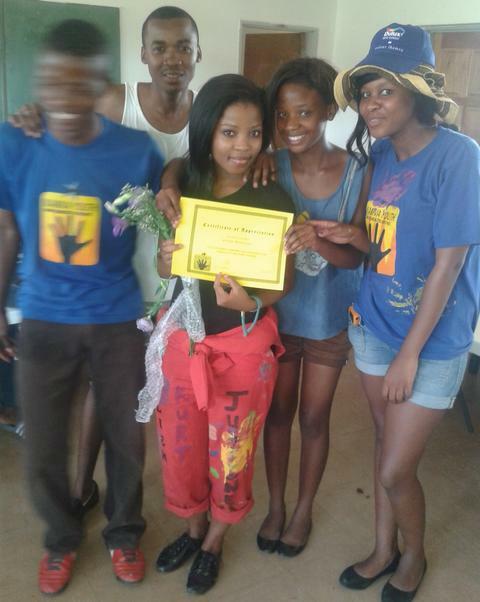 Once again, IkamvaYouth is, and always will be breaking the cycle of poverty in the townships through education. As we bid farewell to the year which marks a decade of progressive services at IkamvaYouth, we would like to share snippets from our wonderful ten year celebration party with you. The event was held on 3 October 2013 at the Mount Nelson Hotel in Cape Town, Western Cape and was thoroughly enjoyed by all. Keynote speaker, Minister Trevor Manuel, who described the past ten years as a decade of fighting for change shared his thoughts with much delight – you can now access a behind the scenes interview to hear what he had to say about IkamvaYouth. IYKZN CREW GOES SUPER BOWLING!!!! In the event and celebration of finding a new BA for the Chesterville branch in KZN, the rest of the crew saw it as a great opportunity to get together, relax, and get to know each other while welcoming her with an evening to remember at the Galleria’s super bowling entertainment Centre. The objective of this meeting was to increase the unity of the team by developing relationships and ability to work together as a team and the Centre served as an ideal scene for them to get a moment of sharing while being revitalized after a long and demanding year, and get geared up for the fast approaching New Year. The day began with an indulgent lunch at the newly opened Cafe Gitano’s where the new BA had her first exciting, yet initially reluctant, taste of mussels.They then later on all proceeded to the bowling court where they had an awesome time, with the uMlazi BA coming out first…this was indeed a well-deserved outcome for the uMlazi branch as the uMlazi BC had to endure some not so pleasant, unforeseen circumstances, as he stretched out to bowl and felt the stitch of his pants let way and when he felt a breeze coming in he knew that his outfit was in ruins!!!! Overall everyone had an amazing time and got a moment to let loose their hair and create a lasting memory while getting to know each other better. 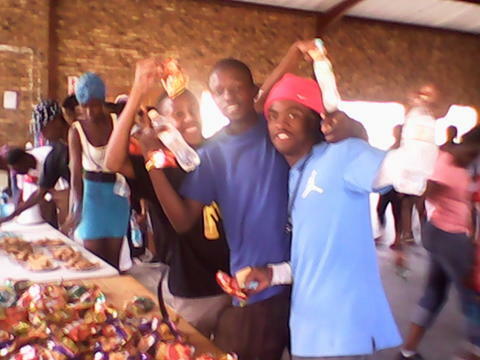 Tutor appreciation held on Saturday the 16th of November at the Ikageng branch was an awesome event. The day began with an extension of gratitude to tutors by the learners for their help throughout the year. 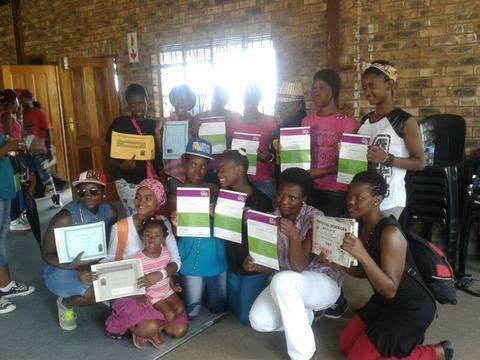 Ikageng learners then presented them uniquely designed certificates of appreciation. The dedicated tutors could not help smiling and as they received the honor, posing for photos from a crowd of cheerful learners. 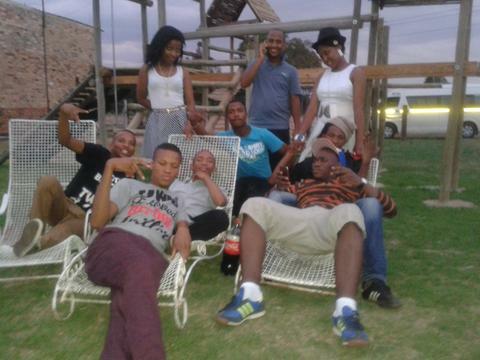 The day ended well with dancing, braai and drinks. Warm thanks were passed over to IkamvaYouth for organizing such a great day for the tutors. They all felt appreciated and ready to start the New Year with extended energy. 60 tutors from both Ivory Park and Ebony Park branches came together on Saturday the 16th of November to be appreciated by IkamvaYouth. The day started off with normal tutoring from 9am to 12pm, thereafter , all the tutors were transported to the tutor appreciation venue called Wild Waters in Boksburg. The day was filled with loads of fun, laughter, conversation, eating and drinking. Many tutors mentioned that they had never seen such a beautiful place and they had no idea that a place like this existed in Johannesburg. 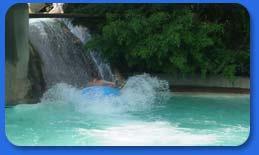 This venue was full of different types of water fun activities and the tutors could not pull themselves out of the refreshing water. Patrick Mashanda, the District Coordinator, also addressed all the tutors expressing how important they were to IkamvaYouth, reiterating that the work they put in has made a huge difference to many lives. It was a memorable day with many tutors saying that they felt very appreciated for the hard work they put into tutoring the learners. Eventually we marked the end of the day by handing out certificates of appreciation to all the tutors. We appreciate all our tutors and we are already looking forward to starting 2014 with an even bigger bang!